The TReX is well suited for use in lighting, security and control systems. Security systems are typically spread over a wide area, and need to be monitored and controlled from potentially many places. The simple configuration and integration of the TReX’s powerful radio with IO capability means that a scattered system, such lights or sensors over a large distribution yard can be deployed with low complexity and cost. The TReX can integrate with sensors and transmitters from other providers for flexible control and alerting options (such as portable control/distress transmitters). 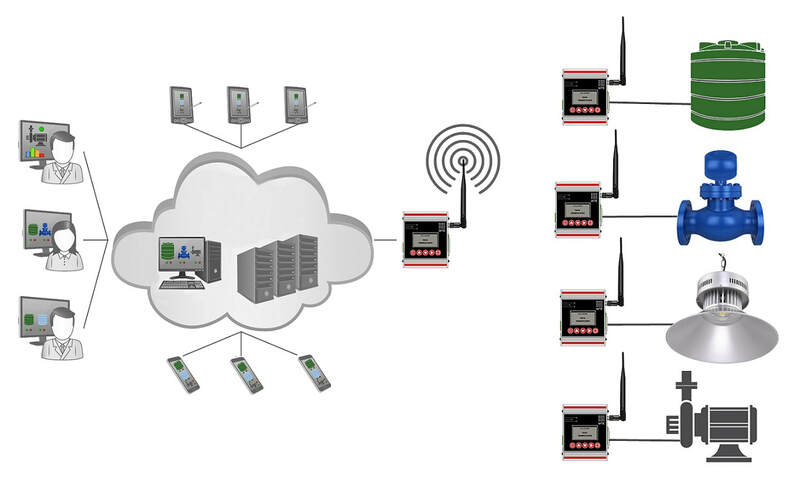 Standard SCADA applications integrate seamlessly with the TReX to provide a flexible low cost solution that is easy to monitor from a local site, or notified through other means such as email or SMS.